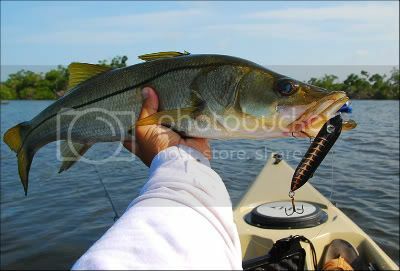 <*))))))< WWW.CUSTOMFISH.COM: Captain Quint is home. 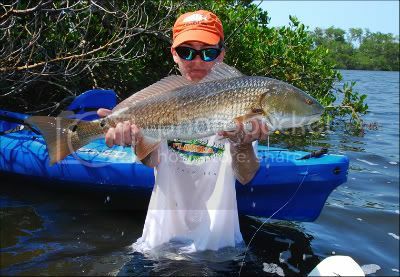 Customfish field reporter Pat Halko is now in Florida where he has taken up permanent residence. "Got out from 8:30-11:00 this morning with my buddy doug. I wish we had longer to fish because the bite was pretty good. Still super windy down here. 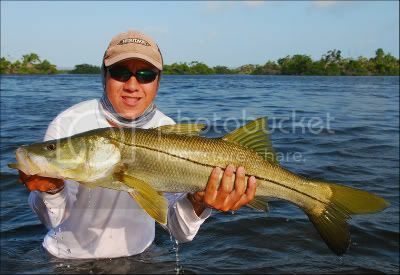 Snook were hitting topwaters as usual and redfish on gulp shrimp. 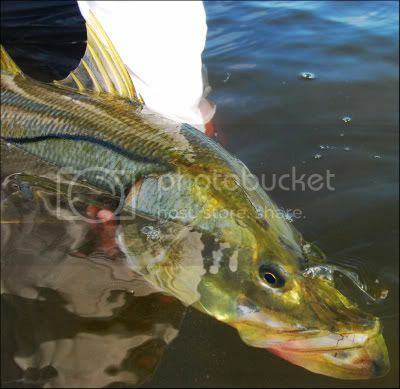 Catching big snook along mangroves is no easy task. Every one you hook heads right for cover. You have to jump out of the yak or else they tow you right in." Nice goin', kiddo. Save some for Mike and Rich. They'll be down in a little over a week. I'll be on the other side of the planet on the Arctic Circle. We'll have some great reports when we all get done. 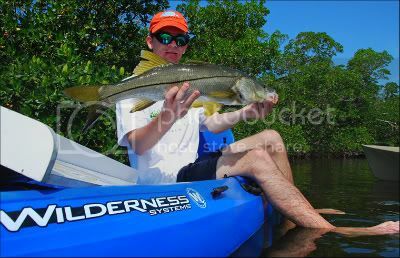 By the way, that last shot of a snook is currently the leader in the " That's the coolest looking f'n shot we've seen this year so far" catagory.